Life: A Company I’m Loving ATM! I want to start off by saying that this is in no way a sponsored post: I just happened to buy a little something from this brand and was blown away by how adorable it was when it arrived. I’m all about sharing the love when it comes to this sort of thing, particularly when the brand involved is a relatively small one so I thought I’d share some little images of one of their products. It’s my cousin’s birthday today (happy birthday Leah, if you’re reading!) and I thought I’d go above and beyond this year and get her a hilarious card from Etsy. 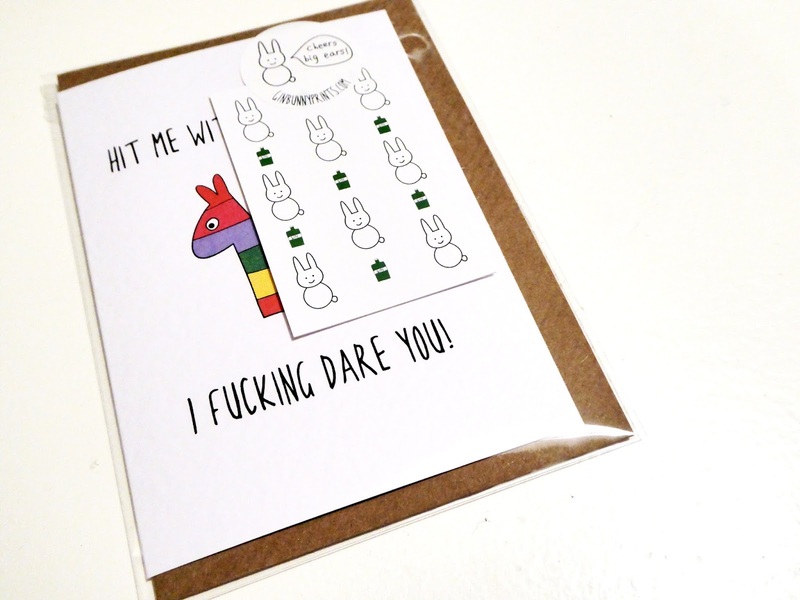 I actually spent a lot of time deliberating between this one and another slightly more crude one, but in the end the absolute adorableness of this card won and I purchased it quickly and easily through the Etsy website. 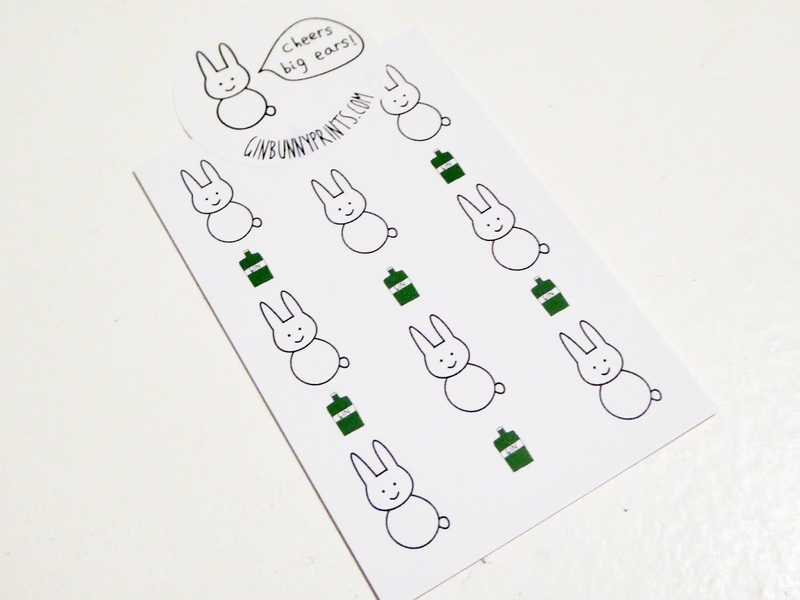 I’m writing this post a good month before todays date because I wasn’t sure how long it’d take for the Etsy store owner Katie at GinBunnyPrints to print and post the card, nor did I know how long the postal service would take to actually get the card to me. I also wasn’t sure whether I was going to post the card or hand it over personally, so the earlier I ordered it, the better. I shouldn’t have worried. I ordered on the Sunday afternoon and the card arrived, packaged beautifully in a fold-proof envelope adorned with a sticker of the company’s logo, on the Tuesday morning whilst I was in class. I thought the effort that had gone into packaging the card was absolutely sublime: not only was it packaged in such a way that there was absolutely no way it would get torn or bent, it was also tightly wrapped in cellophane to ensure it was protected from any markings or spills once it arrived. I absolutely LOVE the gorgeous business card that was attached to the front -a really smart move from the sellers front as not only does it look super cute, it was also a very professional way of reminding me that they sell more than just the one card I purchased. I’ll definitely keep a hold of this card for the future, or else I’ll pass it on to someone who I think will appreciate their products. Onto the card itself: HOW CUTE IS IT? I apologise for the crude language but a little bit of crass humour never did anyone any harm. 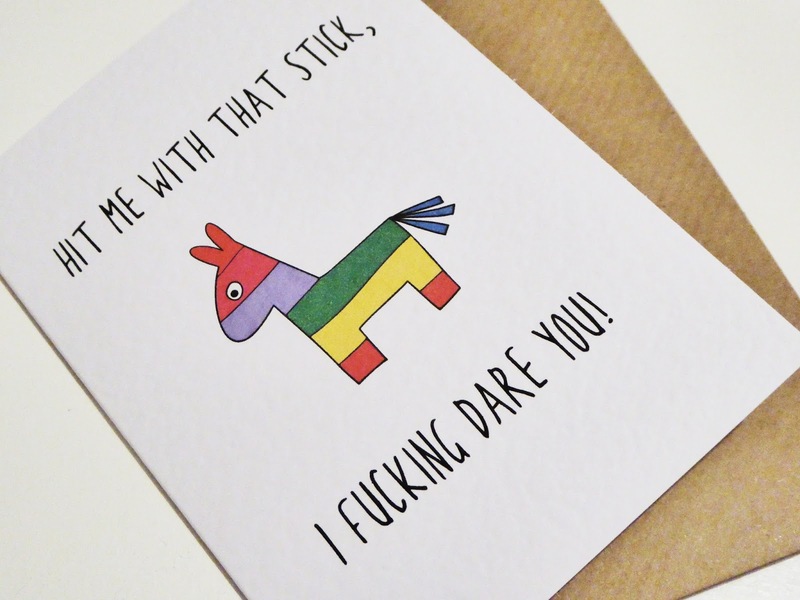 I absolutely love the colourful pinãta and the design being so simple makes it all the more adorable as far as I’m concerned. I thought the caption was hilarious and completely epitomises my cousin’s sense of humour. I find that it’s rare that a card can make me laugh but I honestly laughed for way too long when I first saw this card. I’ll definitely be buying from this shop again in the future, I’m hoping they expand their birthday card collection a little bit more so I can treat all my friends to different designs on their special day! 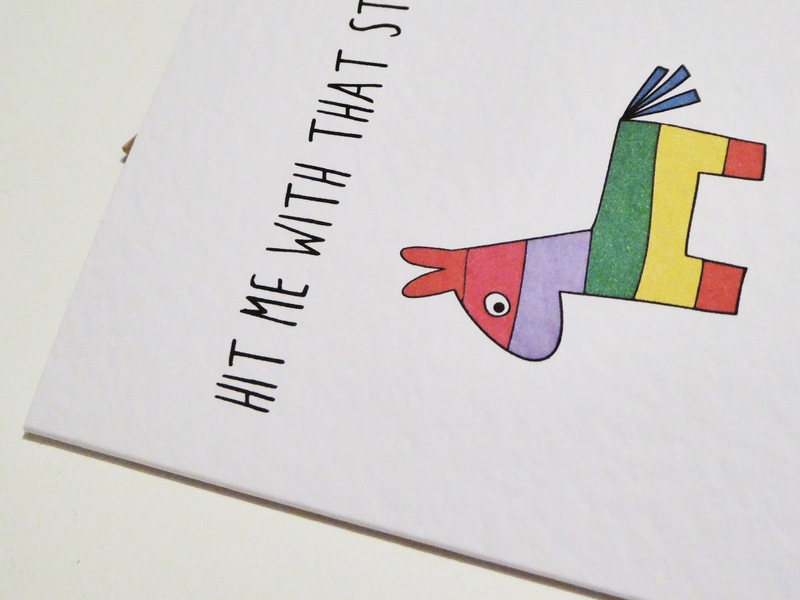 You can find this card and all of their other beautiful products at GINBUNNYPRINTS. What’re your favourite etsy stores?